That’s the time left to submit your Round 1 application for the First Amendment Press Freedom Award and reaffirm your school’s support for the First Amendment. We have received several applications with only one entry (2 are required). Please check and submit your second entry. Even if we recognized your school in the past, you still need to submit a new entry yearly because, frankly, situations change. Several past recipients have not reapplied. First round applications are due annually before Dec. 15. Downloadable applications for 2018 are available at this link. Confession: For the past 10 days, I’ve spent a good chunk of time glued to media coverage of President-elect Trump, reading about his meetings with prospective leaders and reports of cabinet appointments, cries against Hamilton and SNL on Twitter and updates about the on-again, off-again New York Times meeting. My nervousness mounts as we transition to a new president known for his attacks on news organizations, for bullying those who ask tough questions, for threats to “open up” libel laws, for ugly rants against those who hold steady to report on the record the actions of our leaders. And while I’ve made sure to read, donate, sign petitions and facilitate respectful dialogue, I’ve also spent the past 10 days thinking about my journalism students. What can I do? What can we do? What can they do? As is often the case, the greatest potential for impact is within the classroom. It’s clear to me that my own students’ efforts practicing, protecting and promoting their First Amendment rights matter more than ever. 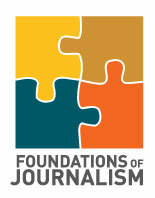 The FAPFA process provides an important opportunity for students to revisit the core principles of their journalism program as they tell the stories of their school community through truthful and accurate reporting using a wide range of diverse, credible sources. The editors know their publication policies inside and out, but do the other staff members? Would every student on staff be able to answer the FAPFA questions accurately? Perhaps this an opportunity for editors to conduct a mini-lesson to educate or review with rookies some “What happens if …” scenarios. The possibility of recognition as a First Amendment school is another way to increase awareness in the school and throughout the community. Even if school administrators are supportive of students’ free expression rights both in theory and in practice, it’s likely there are community members who are less aware of what it means for students to make all content decisions free of administrative censorship. It’s another chance to spread the word about what the First Amendment means and why it matters. Remember, 39 percent of Americans could not name even one of the five freedoms. Can FAPFA recognition serve to make all stakeholders better understand the educational significance of providing students with an outlet for free expression and the long-term benefits of empowering students with the responsibility of the decision-making process? 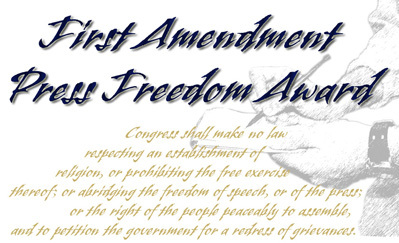 Celebrating a school’s First Amendment Press Freedom Award recognition can play a role in the case for scholastic media curriculum development and the long game in protecting both First Amendment education and scholastic journalism specifically. Signing on as a FAPFA candidate makes a powerful symbolic statement at a crucial time. My own students have protection from California Ed Code 48907, but they’ll still be using the opportunity JEA’s First Amendment Press Freedom Award provides. In other words, they’ll apply for the award because they can. It’s a chance to speak up and speak out for why that freedom of expression matters so much, and a chance to draw attention to states where students don’t have that right. Discussing the questions on the first-round FAPFA form reminds students that not every student media program is lucky enough to operate in a student-led environment with journalists empowered by the critical thinking experience of their decision-making process. It puts things in perspective. It emboldens them to use the tools at their disposal, creatively and positively, to fight the good fight. It draws attention to the injustice in schools and states with administrative censorship and helps increase efforts toward press rights legislation. Editors can proudly share their efforts in attempt to leverage that social currency and widen the scope of attention for First Amendment freedoms just when the New Voices movement — and new White House administration — need it most.